All inputs are protected to IEN61010-1 CAT III 300 V. UL, CSA, TÜV listed and VDE Pending. When size is important, the 81438 multimeter is clearly the best choice. This compact meter packs more features than many multimeters twice its size. True-rms, ac voltage and current readings to 10A are included features. Plus 6000 count resolution, Min/Max/Average, frequency and capacitance capabilities. 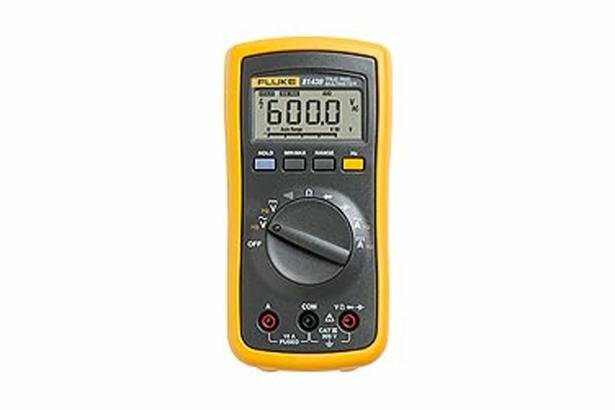 This compact multimeter gives you an easy-open battery access door and is CAT III rated for 300V while being protected by a three-year warranty. Available only through Sears stores. Overvoltage category EN 61010-1 to 300 V CAT III.